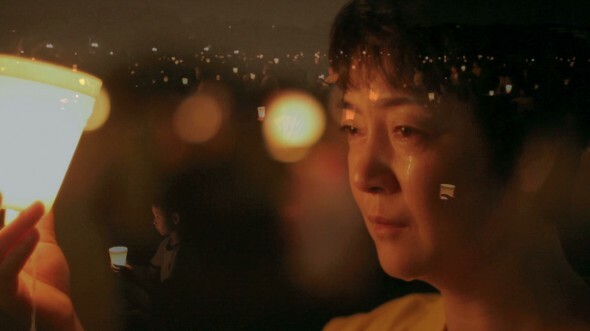 NEW YORK—After more than 400 screenings around the world, “Free China: The Courage to Believe” is set for a wide audience debut in Los Angeles and New York. The documentary won awards at multiple film festivals, including the American Insight Free Speech Film Festival in Philadelphia. It was screened in the European and Israeli parliaments, the United States Congress, and Google headquarters, among other places. The theatrical version of the film includes a theme song by Q’orianka Kilcher, a Hollywood actress, singer, and activist, best known for her role as Pocahontas in “The New World,” a 2005 film directed by Terrence Mallick. “Free China” explores the issues of human rights, Internet and media censorship, torture, forced labor camps, and government surveillance through the stories of two Falun Dafa practitioners, Jennifer Zeng and Dr. Charles Lee. Both Zeng and Lee began practicing Falun Dafa, also known as Falun Gong, before 1999 when the Chinese Communist Party began its persecution against the practice. Zeng and Lee were arrested, illegally sentenced, sent to forced labor camps, and tortured. As their stories unfold, the movie unveils a side of China that the Chinese Communist Party has labored to keep covered up for decades. The screenings in Los Angeles and New York City are part of the Oscar requirements for the film, but Wang says the timing is important for raising the issue of human rights in China. “Free China” will play for seven days in Los Angeles starting May 31, and for seven days at the Quad Cinema in New York City starting June 7. The documentary is entirely in English with Chinese subtitles. “Free China” will be available for free online after the theatrical release dates and has all the elements for going viral.